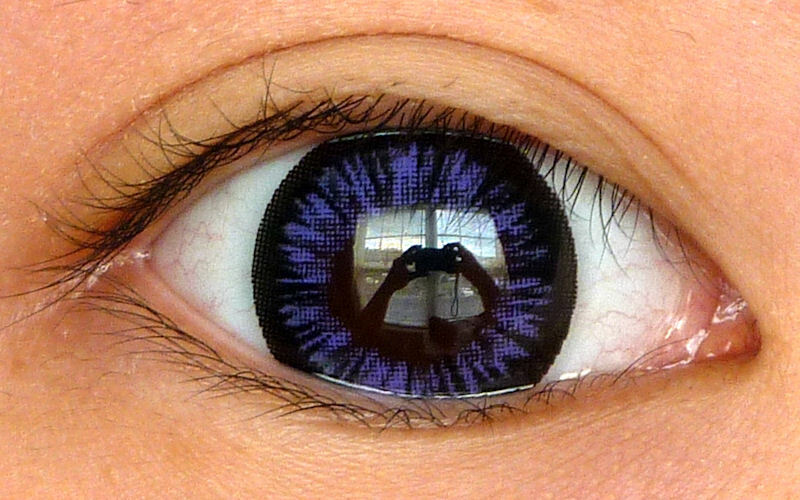 The Big Size Circle (BSC) lenses have a black outer ring with black spikes pointing into the pupil through the colored part of the lenses, giving it a natural look instead of a solid patch of color. 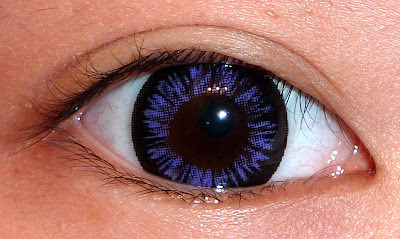 The violet color is quite bright too. The BSC are 14.5mm so they are quite enlarging. The strong black outer ring makes your eyes really stand out too. As I mentioned above, the BSC are a larger version of G&G Bt02. Here they are side by side for comparison. I kept the Bt02 so I can compare them with the BSC, I don't wear them anymore and threw them away after this review. 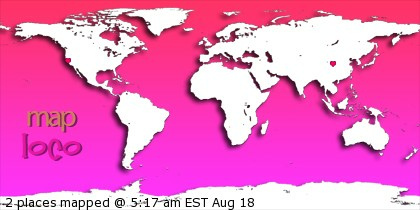 DO NOT WEAR EXPIRED LENSES! The Bt02 are more intense in color, but the design is almost the same. The BSC are good replacements for the Bt02, with a bigger diameter too. 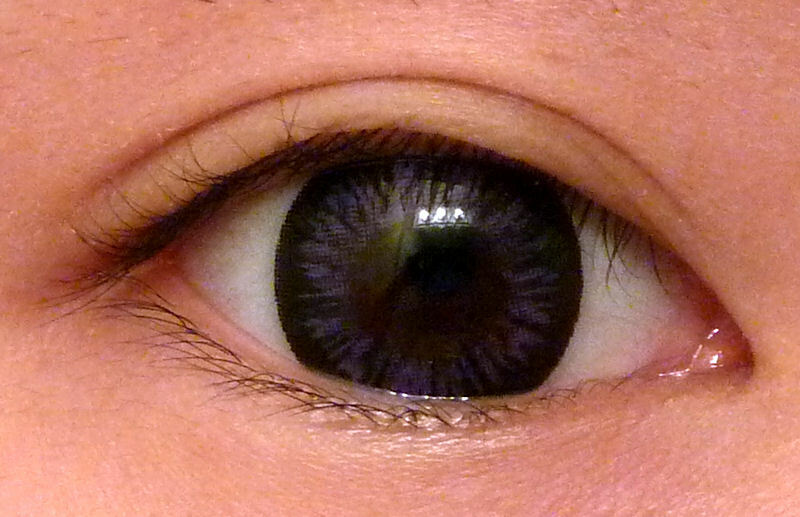 Here are some comparison with Pop.C Dark Blue, which has a even thicker outer black ring and smaller color area. Here are all the lenses featured in this review. 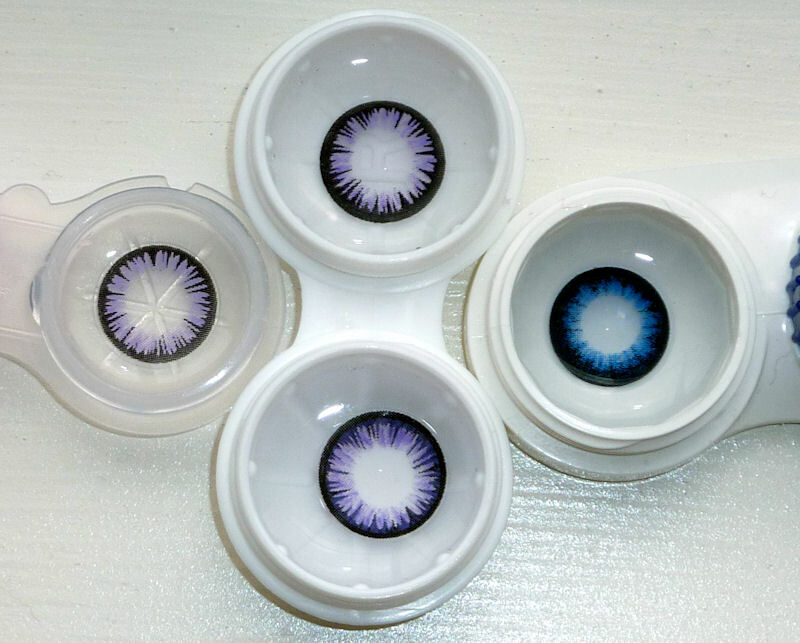 Clockwise from the top: BSC Violet right side up, Pop.C Dark Blue, BSC Violet upside down, BT-2 Violet. Design: 9/10 - The same lovely design as the Bt02, I just wish they were just as bright. Enlargement: 9/10 - 14.5mm is a pretty enlarging size. Thank you PinkyParadise for the lenses! My Bellatrix Lestrange cosplay makeup for HP7.2!